“Doherty is known for treating clients fairly. In 1959, James Doherty established Doherty Ornamental Iron, Inc. as a fabricator of porch, balcony and pool railings. In the early 1970’s, several of his customers requested he supply and install structural steel for upcoming projects. By the end of the decade, structural steel fabrication and erection had become the majority of Doherty’s business. In order to reflect this shift in nature Doherty Ornamental Iron, Inc. changed its name to Doherty Steel, Inc. in 2006 as a part of a new branding strategy. Today, the company is owned by two of Doherty’s children, Lisa Stephen and Dennis Doherty. Construction focus is mainly on data centers, health and educational buildings, churches, mix-use developments and office buildings; however no job is too small. 80% of our work is through our valued partners such as Turner Construction, J. E. Dunn, McCownGordon, McCarthy, Sampson and Whiting-Turner. 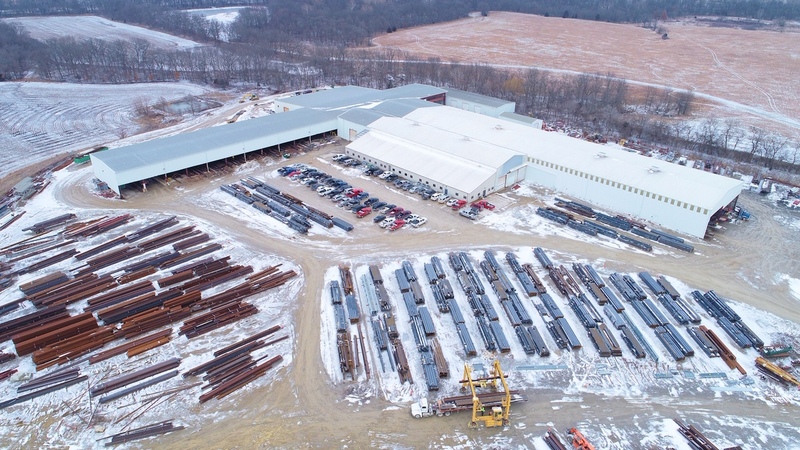 Over the years the company has built a reputation for providing competitive pricing, safety focused construction practices and high quality structural steel fabricated and erected on time and within budget. Automation is a key to Doherty’s success. When it comes to making cuts or holes in structural steel, several computerized pieces of equipment are used. 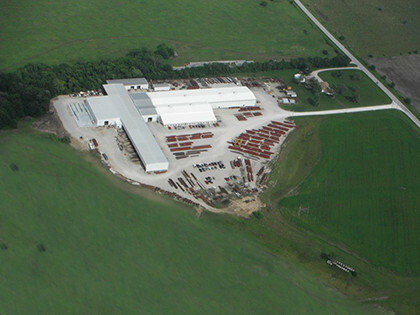 Material is moved around the 130,000 square feet facility with the assistance of multiple conveyors, cross-over conveyors and overhead cranes with up to 20 ton capacity. The shipping department utilizes two yard cranes and a MI-JACK Travel Lift with a 60,000 pound lifting capacity, along with three semi-trucks and multiple trailers. An average of 40 to 50 workers makes up the shop workforce. The company’s primary field equipment consists of ten fully equipped welding trucks. The steel erection hoisting is performed with one of four cranes (80-ton Linkbelt Crawler, 60-ton Lima conventional rubber tire, 22-ton All Terrain Hydraulic and a 22-ton boom truck). The number of workers in the field, who are mostly Local #10 Ironworkers, can vary between 30 and 50 depending on the workload.